Uncover the enigma of the awe-inspiring structures at Giza, including the mighty Sphinx – the world’s largest single-stone statue. The Great Sphinx is the huge monolithic statue of a human-headed lion that was carved into a single mass of limestone bedrock on the western bank of the Nile during the third millennium BCE. The Sphinx faces directly east and its stonework features once included a cobra-embellished headdress and a beard. Although neither the Sphinx nor its principal architect were cited within the content of any hieroglyphs from the time, the ‘foreman’ of the project is widely regarded to be Pharaoh Khafre (c. 2558- 2532 BCE), the ruler of the Old Kingdom, which was a period of early Egyptian civilization that endured for 2,500 years. Incidentally, Khafre’s father – Khufu (c. 2589-2566 BCE) – built the Great Pyramid at Giza approximately 400 meters (1,300 feet) from where the Sphinx statue would later be carved. Regarding the identity of the labour force, an Old Kingdom cemetery containing the tombs of some 600 possible workers and overseers was unearthed in the early Nineties. Following that, in 1999 Egyptian archaeologist Mark Lehner found a settlement dating back to the reign of Khafre, capable of accommodating between 1,600 and 2,000 people – a rather convenient Sphinx construction workforce, perhaps? 4,500 years ago, before bronze and iron were prevalent, the available tools for this colossal undertaking would have included copper implements and stone hammers. Modern reconstructions, using similar stone and ancient-style tools, have estimated that the Sphinx could have been constructed in just three years with 100 people chipping away at a rate of 0.03 cubic meters (one cubic foot) per week. 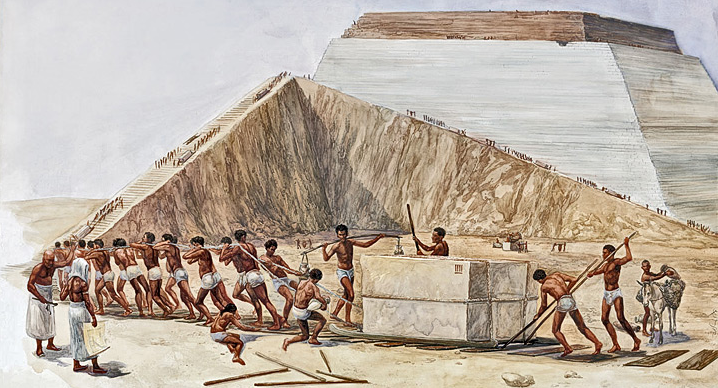 Using the huge excavation of stone quarried away from the Sphinx enclosure (the pit in which the statue sits), the labourers were also able to construct the nearby Sphinx Temple. Each block that was removed from the Sphinx statue site could have weighed up to 200 tons and would have been transported on rollers. Until the Thirties, when an archaeologist called Selim Hassan excavated the lower half of the statue, the Great Sphinx remained buried up to its shoulders by sand. Today it stands proudly beside the other monuments of Giza as a testament to the engineering skill of the Ancient Egyptian civilization. 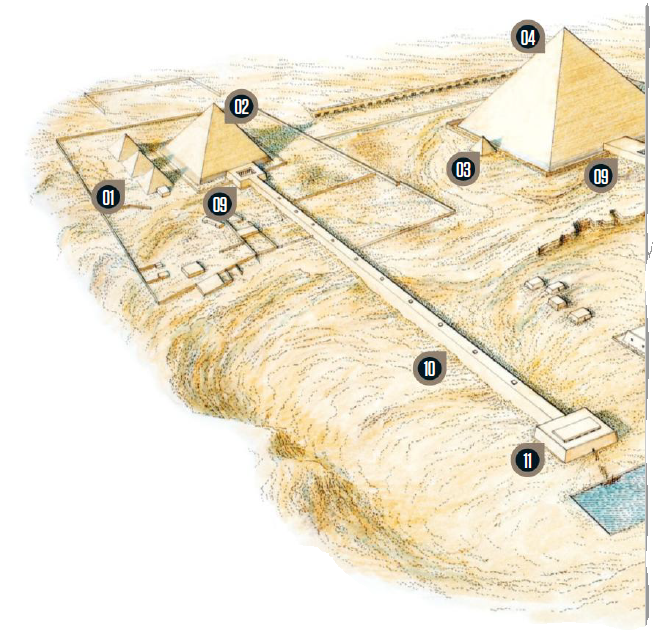 Of the three smaller pyramids to the south of the Pyramid of Menkaure only the one to the east is actually a real pyramid; the other two are stepped. Khafre’s son, Mykerinos, built the smallest of the three pyramids at Giza. Much of the complex remained unfinished, suggesting his reign was short-lived. Only the outlines of the foundations remain but this small pyramid held shrine artifacts. 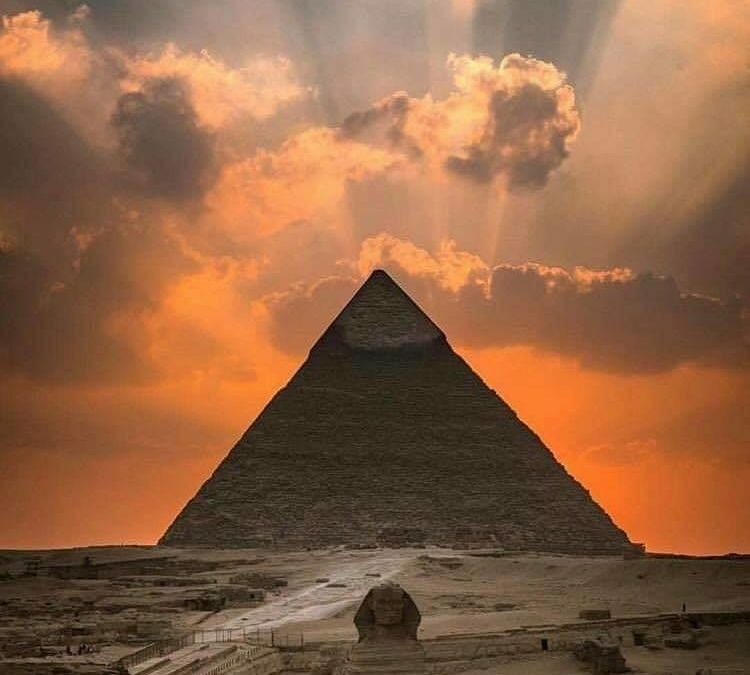 Khufu’s son, Khafre, built the second tallest pyramid at Giza, although it may appear tallest due to its location on a higher section of the Giza plateau. 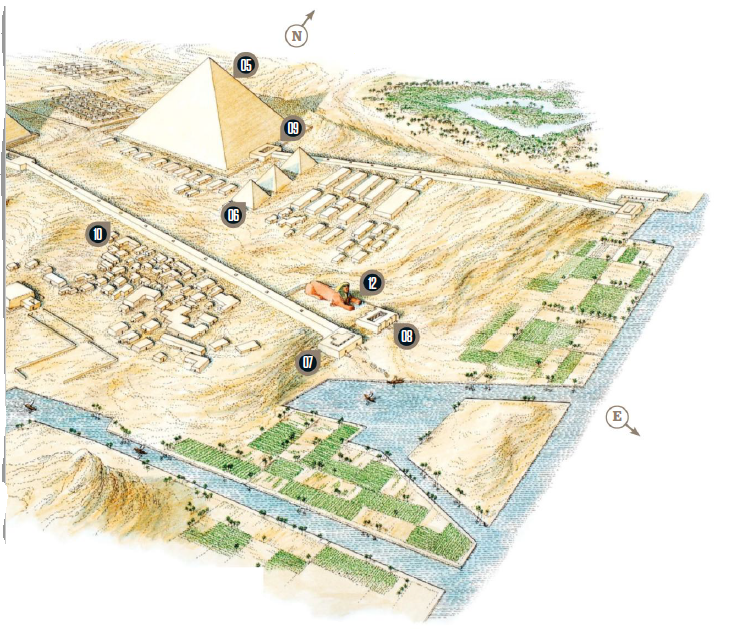 The largest of the pyramids is the Great Pyramid (or Pyramid of Khufu), a royal tomb that would have taken something like 20 years to construct. Though these monuments were built for unknown queens, it’s likely one was the burial place of Khufu’s mother, Hetepheres I, as a cache containing items belonging to her was discovered near the northern-most pyramid. The remains of the Khafre Valley Temple walls in front of the Great Sphinx are still visible today. The temple consisted of a courtyard surrounded by 24 pillars. Because of this temple’s east-west axis, it’s been suggested that each of the pillars represented, or marked, each hour in the day. Like the Khafre Valley Temple, the Sphinx Temple would have been constructed with limestone blocks excavated from around the Sphinx statue.